LOVELY 2 BEDROOM WITH JACK AND JILL BATHROOM IN GREAT ORANGE BLOSSOM GARDENS IN THE VILLAGES! THIS HOME FEATURES A BEAUTIFULLY LANDSCAPED IRRIGATED YARD WITH A PAVER DRIVEWAY LEADING TO YOUR GOLF CART GARAGE SO BRING YOUR GOLF CLUBS. 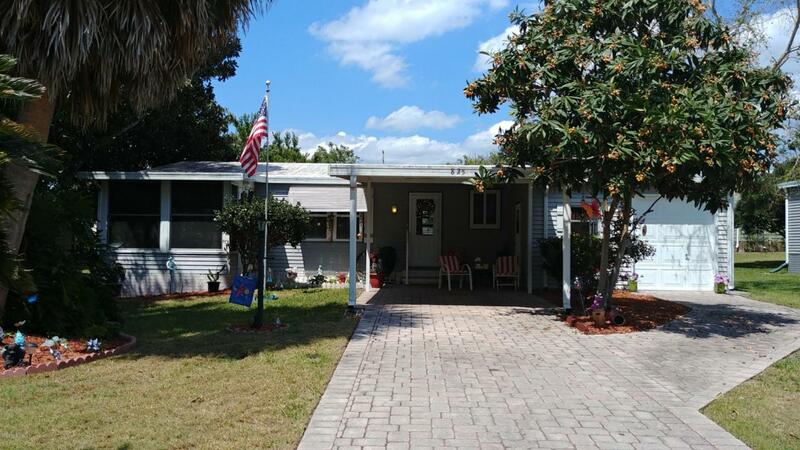 LOCATED NEAR END OF QUIET CULDESAC STREET WHERE YOU CAN ENJOY YOUR FLORIDA ROOM. THERE IS STORAGE AREA WITH WASHER AND DRYER. THIS IS A MUST SEE!